The ceremony began after the Zuhr and Asr prayers with the recitation of the Holy Quran. Following that, the history of the local Jamaat was presented. The Amir of France, Ashfaq Rabbani Sahib thereafter spoke about the grace and mercy of Allah on the French Jamaat. He also thanked the local mayor and neighbours. 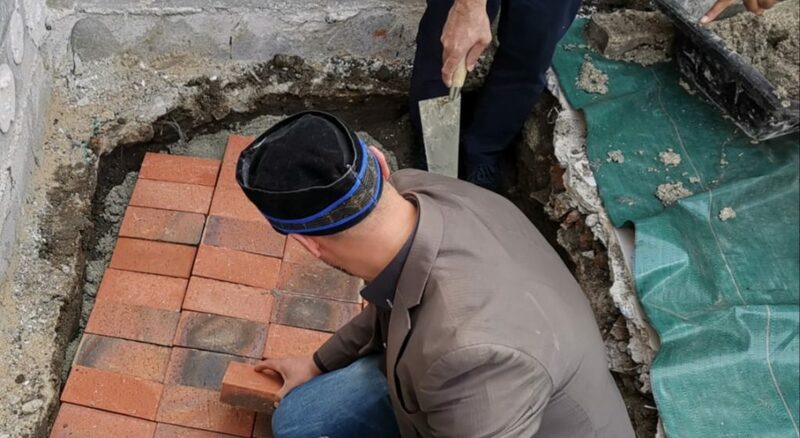 38 Ahmadis had the opportunity to lay bricks, along with two of our non-Muslim neighbours. The first brick was laid by Amir Sahib France. Amir Sahib told us that that brick was blessed by Hazrat Amirul Momineenaa for the occasion. The ceremony was concluded with silent prayer. 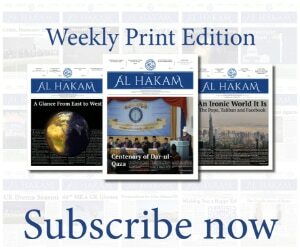 Jamaat-e-Ahmadiyya France requests the prayers of all Al Hakam readers for all our activities and efforts. 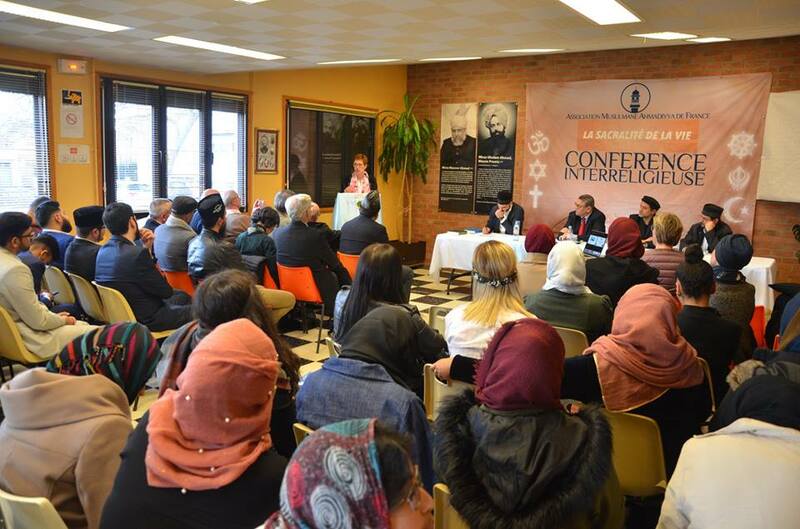 Earlier, in the same region of Hauts-de-France, Jamaat-e-Ahmadiyya France organised its seventh inter-religious conference on 17 March 2019 in Beuvrages, France. The theme of the conference was “La sacralite de la vie” (the sanctity of life). The chief guest of this conference was Mr Ben Yahya, Deputy Mayor of Beuvrages. In total, there were five speakers: four religious representatives and a president of a peace organisation. Naseer Ahmed Shahid Sahib Missionary In-charge France, Ms Mme Martine (Church of Scientology), Mr Pierre Lavoisier (Christian Church), Mr Lefèvre Jean-Jacques (Buddhist) and Mr Jean Henry (President of the Family Federation for World Peace). Towards the end, gifts were distributed to all speakers, and before the silent prayer, the press release of Hazrat Amirul Momineenaa about the recent New Zealand terror attack was read out in French, which the guests appreciated highly. A book stand, as well as a Humanity First stand, was also installed in the conference hall. There were more than 60 people in total with 22 guests.